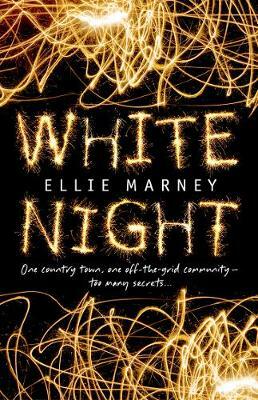 Ellie Marney’s new YA novel, White Night (Allen & Unwin) has an authentic Australian feel. It is warm-hearted with a welcome edge of rawness. Male protagonist, Bo, is a triumph, with his blend of masculinity, compassion and love. Where are you based, Ellie, and how do you spend your time? I live near Castlemaine, in north-central Victoria. I usually spend my time writing or reading! But I also have four kids, and a couple of day jobs, so life can get pretty busy. How are you involved in Australia’s YA community? In 2015, when the ALIA lists came out and OzYA was barely a a blip on the radar, a group of lit sector professionals – authors, librarians, booksellers, bloggers, publishers – got together to form the #LoveOzYA movement, to advocate for and promote Australian YA, and I was lucky enough to be at that first meeting. I’ve never really stopped flag-waving for OzYA since then! Oz YA is thriving but why do there seem to be few Australian novels written for males at the moment? I actually think Australian YA caters pretty well to males! There are plenty of great YA books written by male YA authors, or featuring male protagonists. But I also believe it’s good for boys to broaden their horizons (and maybe learn something new) by reading books with female protagonists, or written by female authors – I certainly encourage my boys to pick up books by authors of all stripes, with a range of protagonists. We don’t seem to worry so much about girls reading books written by men, or focusing on boys – Harry Potter, for instance – which makes me think it’s a bit of a double standard. 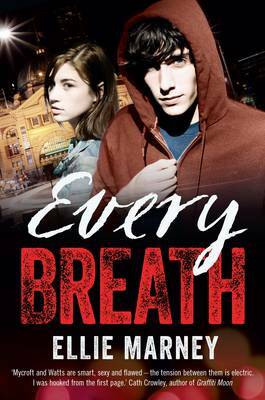 Could you tell us about your other books, particularly your very popular ‘Every’ series? The Every series is based around the question of ‘What would a contemporary teenage Sherlock Holmes be like?’ (or as the tagline says, ‘What if Sherlock Holmes was the boy next door?’) and is my most popular series to date. People liked my take on Young-Sherlock-and Girl-Watson-in-Melbourne so much I wrote a companion novel, No Limits, which I self-published last year – Harris Derwent, one of the secondary characters in the series, had his chance to shine in a darker-edged story about drug crime and high-stakes romance in regional Australia. Now this year I’m releasing White Night, and in a few more months, Circus Hearts, a 3-book YA romantic crime series set in a circus – the first book, about a teenage trapeze artist and an apprentice strongman on the run from a terrible crime, will (if all goes to plan!) be out in September. What is the significance of the title of your new novel White Night? It refers to a a number of things actually – I’m glad you asked! White Night is the name of the lightshow festival that the students in the book want to stage to raise funds for their local skate park; it’s based on the worldwide festival of lights that has taken off so well in Melbourne. But ‘White Night’ also has darker connotations: in the Jonestown Peoples’ Temple cult, the name was a code for the ‘revolutionary suicide’ practise runs that Jim Jones forced all his followers to perform to prove their loyalty. Could you tell us about your major characters, Bo and Rory, including their relationships with their parents? Bo is sixteen, and focused on footy, friends and family – his dad, Aaron, his pregnant mum, Liz and his younger brother, Connor. Bo’s parents are strict but fair, and he feels like he’s cruising along – except for some nagging concerns about what he’s going to do at the end of high school. Rory, on the other hand, has no plans, because her life isn’t lived in a conventional way – she lives in Garden of Eden, an off-the-grid radical environmentalist commune with a very alternative family arrangement. This is her first attempt at real high school and ‘outside’ life, and when she meets Bo, the two of them rub up against each other in curious, life-changing, spark-creating ways. I think I’d better leave it there – if I give too much away, I’ll be sharing spoilers! Which of Bo’s school friends would you like to write about further? Hm, that’s a hard question! Bo’s best mate, Sprog Hamilton, starts out as a total bogan footy bloke and then evolves to have so many layers – Sprog has a wonderful story arc, and I do love Sprog as a character. But Bo’s other friend, Lozzie D’Onofrio, is equally lovely – and maybe has a lot more backstory to explore… I’d happily write about either one of them! You’ve mentioned the Great Pacific Garbage Patch in White Night. What environmental messages do you want to share? When I was researching White Night I read an incredible book: The World Without Us by Alan Weismann – it poses the thought experiment of how would nature recover and go on if all the humans in the world just disappeared overnight? That book was mind-blowing and fascinating, and threw out lots of amazing and terrifying facts about the impact of human beings on the planet. I’d love more young people to think hard about the environment and contribute ideas for solutions to some of the problems – it’s their planet too, and I think young people have much to give on this issue, considering they’re so invested in it. We just need to start listening, and acting on their ideas, before things get too urgent. 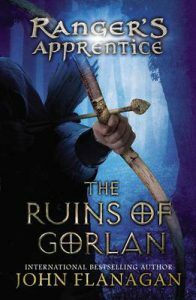 How have you incorporated the book The Ruins of Gorlan into White Night? Oh, that book is so great! Every single one of my sons has read The Ruins of Gorlan by John Flanagan, which is the first book in the Ranger’s Apprentice series. That series… It’s so good! And it seems to really appeal to my kids, especially the idea of being a boy (like Will) with an older male mentor (like Halt) and learning all the survival and craft skills necessary for living on the land. I just thought it was a natural fit for Bo and Connor’s story, with echoes of what it’s like being a young boy growing up and searching for male role models. I’ve actually been so immersed in writing I haven’t had much reading time – but when I’ve had a break, I’ve been reading Obsidio by Amie Kaufman and Jay Kristoff (O.M.G. that whole series is so incredible! ), LIFEL1K3 by Jay Kristoff (I have an ARC! Yes, it’s just that good, I had to steal it from the Allen & Unwin offices!) 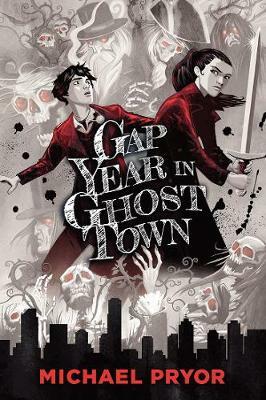 and also a few books I’m reading for #LoveOzYAbookclub – Gap Year in Ghost Town by Michael Pryor, and Valentine by Jodi McAlister. And of course, I often grab a romance read when I’m tired or flat – I love Penny Reid, Sarah Mayberry, Kylie Scott and Sarina Bowen. Those ladies bring all the feels! Thanks very much, Ellie, and all the best with White Night. It will no doubt find a wide and appreciative readership. Thanks Joy! I hope people enjoy it, and thank you so much for having me to visit! 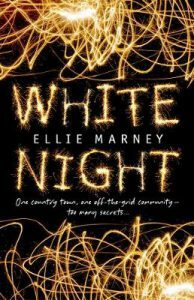 See Cait’s great review of White Night on the blog.